As a resource, time is both unlimited and limited, because although it goes on infinitely, it will not go on the same way for us mortals. No matter how we put it, we will all run out of time to do what we have to do in our lives. Because of this fact, time is probably the most important resource that we own as individuals. In a lighter sense, we should all maximize our time so that we may accomplish all of our goals. Sure, 24 hours a day might seem a lot at first, but since we are living beings, we use a huge fraction of it to tend to our basic needs, and it leaves us with little time to perform our other duties. On the other hand, some individuals would overwork themselves, setting aside more time for work-related tasks and spending less time to take care of themselves. This makes a huge imbalance in our lives. However, this is not the only way to live our lives. There is a way to restore the balance in our lives – there are many ways, in fact! Time management is the key to achieving this. Stopping and trying to manage your time may seem like a “waste of time” at first, but it actually helps to save your time and be able to fit more tasks into one day. 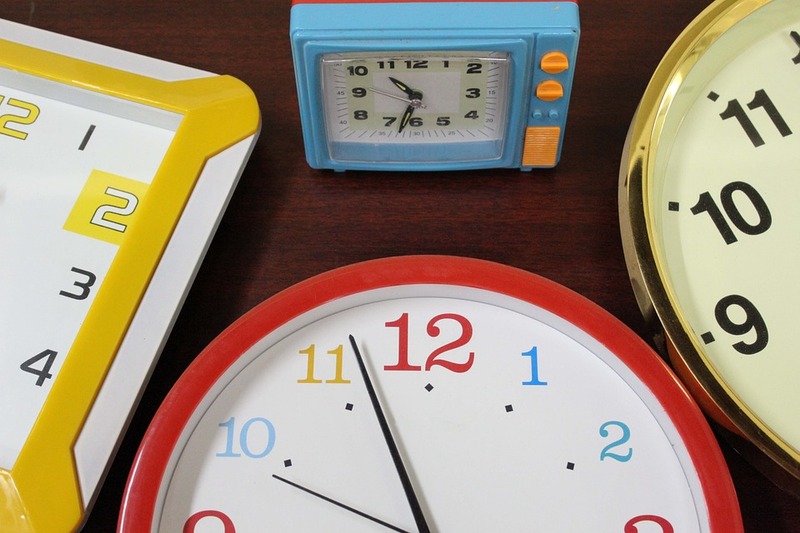 There are so many ways to manage time that everyone is sure to find something that will work well with them. 1. Stop complaining and start doing. We often take a lot of time to contemplate on how long something will take, and how difficult it will be, that we are left with less time to actually complete it. By beginning without much complaint, you can spend more time on thinking about how to do the task, and you will be able to finish it on time. You will also notice that it wasn’t really as hard as you thought it would be! 2. Create a schedule – and stick to it! Having a schedule is one thing that can help you manage your time, but following it is another. Schedule your tasks so that you will become more organized. This will help you avoid forgetting what you have to do, and it also saves time on you trying to remember them. Also, be sure to follow your schedule as best as you can, otherwise all your scheduling will be for nothing! 3. Prioritize. As human beings, we cannot really do everything, so it is important to prioritize. By deciding which tasks are more important, it will be easier for you to get your main duties done. 4. Focus. When doing a task, stay on that task. You might think that multi-tasking helps you to do things faster, but it actually slows you down, and in the end you’ll get nothing done. Also, block distractions, and don’t procrastinate. 5. Say “No”. It’s okay not to accept tasks which you think you can’t handle, especially if you are still in the middle of doing something else. It saves time, in fact, because the task can be delegated to someone who can start on it right away. 6. Take breaks. We all need to rest and recharge once in a while. Working continuously without breaks will just make you tired and inefficient. Therefore, make sure to arrange breaks in between work shifts. A cup of coffee and some snacks would be nice too. 7. Set aside time for yourself. You should not spend all of your time working, otherwise you might get sick. Take care of your body, because through it you are able to function and work. Also find time to enjoy leisure activities to keep your life balanced. 8. Imagine an earlier deadline. In your mind, set the deadline to a date or time earlier than the real one. Even if you know the real deadline, this will trick your body into working faster. People who practice this are known to actually be on time, rather than those who prepare for the real deadline, and end up running late. 9. Have a clock. This is a must-have for you to be able to track the time. 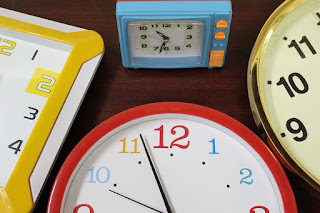 Even if you don’t have a clock hanging on your wall, sitting on your desk, or clamped to your wrist, cellphones and computers have clocks as well, so there is no reason for you to lose track of time. 10. Be consistent. You might be able to manage your time very well for half an hour, and you might have already done so much that you choose to be idle just because your next meeting doesn’t start in another half hour. This is not a good way to manage your time. Your time should always be spent doing something worthwhile. With your free time, you get started on your next assignment, take a break, plan your next day, etc. Time management is a real jewel. When practiced, it gives you so much more time to actually live your life, not just to work, but also to enjoy. It reduces pressure and stress that one experiences at work, and helps you have a healthier lifestyle, which as a bonus lengthens your life. Also, when you learn the art of managing your time, you have a better shot at success. It gives you the power to control your life in relevance to your abilities and limits. We can all live our lives the way we want to live it and use our time for the more important things, and through these simple tips, we can learn how to control it.